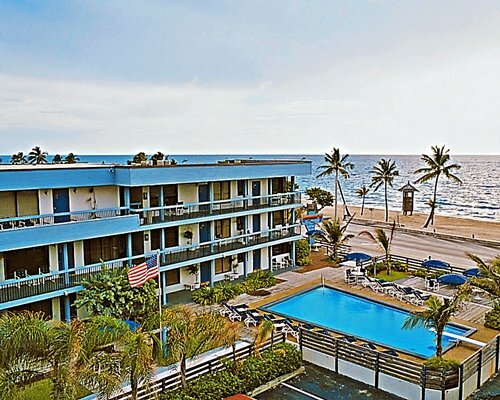 Sun, sand, and style worshippers flock to the South Atlantic Florida Coast for good reason: This section of the Sunshine State gives visitors plenty of ways to indulge in all three, and more. Nature is in full bloom in Vero Beach, home to protected wildlife such as loggerhead sea turtles and to the 64-acre Environmental Learning Center, ideal for kids and adults alike. 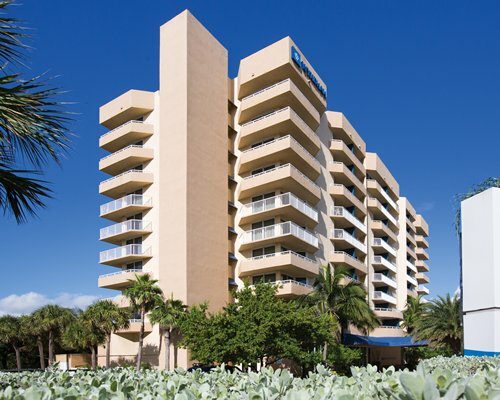 Cruise south along scenic Route A1A to the Palm Beaches, a 50-mile stretch of sun-soaked shoreline that boasts dramatic limestone cliffs, the tony towns of Palm Beach and West Palm Beach, with their upscale galleries and boutiques, and Delray Beach, a seaside hamlet filled with old-Florida charm. If you’re itching for a day on the links, the Palm Beaches area alone provides more than 160 golf courses to choose from. 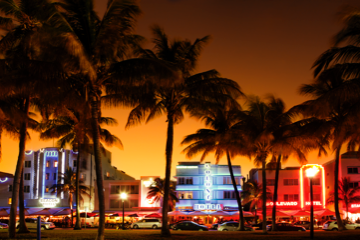 No visit to the South Atlantic Florida Coast is complete without basking in the creativity and culture of Miami and Miami Beach. Spend mornings doing yoga on the beach; afternoons taking in world-class galleries, shops, and pastel-hued Art Deco architecture; evenings feasting on fresh seafood; and nights sipping craft cocktails at a rooftop lounge with ocean views. The Overseas Highway will lead you along all 122 miles of the stunning Florida Keys archipelago. 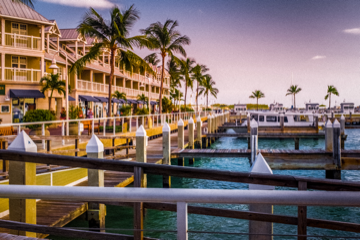 Stop in Key Largo for snorkeling, scuba diving, kayaking, and a chance to interact with dolphins, then make your way to the southernmost point in the continental U.S., in sunny, laid-back Key West, where you can take part in the nightly sunset celebration in Mallory Square while enjoying a slice of Key lime pie, the ultimate homage to Florida. On the island Hemingway made famous, go your own way with unexpected adventures. This town has long been known for its nightlife and beach scene. But Miami has upped the ante in the areas of food, art and design. 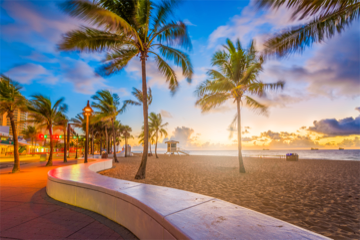 South Florida’s Atlantic coast is dense with seaside towns that serve as escapes for snowbirds in the winter and spring. Names like Palm Beach and Delray Beach evoke thoughts of seaside mansions barely visible behind the thick hedges along Highway A1A. As expected, the streets of Palm Beach are lined with high-end boutiques, like Ferragamo, Tory Burch and Gucci, and Mercedes sedans and BMW convertibles are parked under the palm trees. But you’ll find more than tangible wealth here. The ocean provides an embarrassment of riches—stone crabs, rock shrimp, tilefish, grouper—and a constant stream of fresh fruits and vegetables comes from the region’s farms, thanks to the year-round growing season. 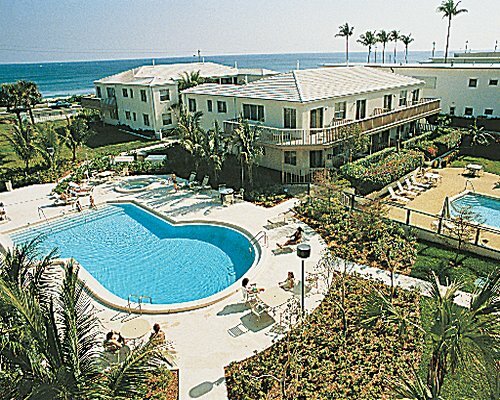 "We enjoyed our stay and the best part was the location." "The unit was clean, bright and roomy." "Outstanding location, service, and cleanliness."